Official Paranoid Android ROM for Google Nexus 6 (Shamu) has now arrived via an OFFICIAL build. Motorola Google Nexus 6 smartphone was launched in October 2014. The phone comes with a 5.96-inch touchscreen display with a resolution of 1440 pixel. 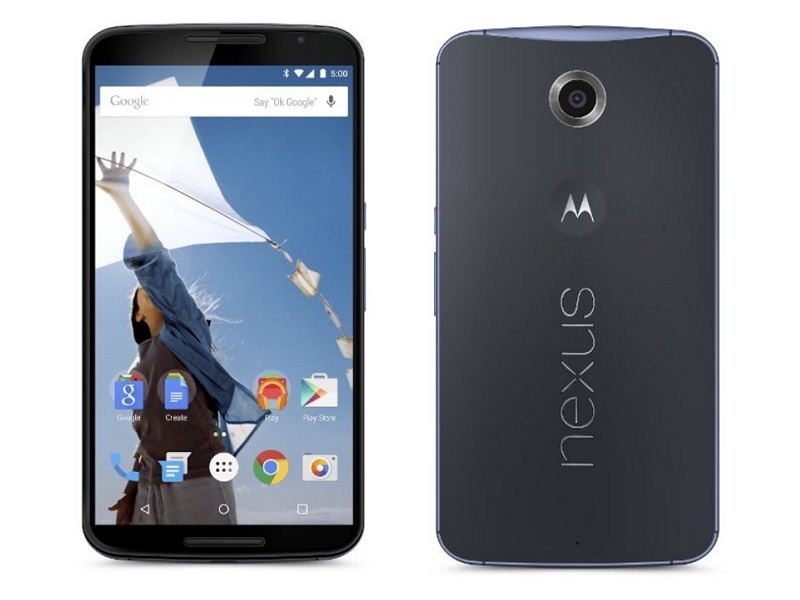 The Motorola Google Nexus 6 is a single SIM (GSM) smartphone that accepts a Nano-SIM. Connectivity options include Wi-Fi, GPS, Bluetooth, NFC, 3G and 4G. The Motorola Google Nexus 6 is powered by 2.7GHz quad-core Qualcomm Snapdragon 805 processor and it comes with 3GB of RAM. The phone packs 32GB of internal storage that cannot be expanded. As far as the cameras are concerned, the Motorola Google Nexus 6 packs a 13-megapixel primary camera on the rear and a 2-megapixel front facing camera. Paranoid Android is an open-source operating system for smartphones and tablet , based on the Android mobile platform. The idea was to bring some fun, new features that helped improve the user experience while maintaining all of the things that has made Paranoid Android one of the best AOSP ROMs out there. Flashing ROMs continues to be very popular among Android users and Paranoid Android has maintained a very loyal user base. We will take a look at what Paranoid Android is all about and how you can get it on your device. More floating window options for apps, including launching floating windows from notifications. Custom visual elements and backgrounds from Hampus Olsson. Installing a custom ROM on a mobile requires the bootloader to be unlocked on this mobile phone, which may VOID your warranty and may delete all your data. Before proceeding further you may consider backup all data on the phone. You are the only person doing changes to your phone and I cannot be held responsible for the mistakes done by you. As always, this Paranoid Android ROM for Google Nexus 6 (Shamu) device is brought to you by CDO. This is new [Official] Paranoid Android firmware has to be installed on the Google Nexus 6 (Shamu) model only; if tried on other devices, it might get bricked [To check your device model: Go to Settings >> About phone >> model number]. Make sure the device is rooted before going forward for Lineage ROM installation. From official web page of Paranoid Android download the compatible update file for your Android Google Nexus 6 (Shamu) device and also download the Gapps.zip. Place the downloaded [Official] Paranoid Android ROM and Google Apps into the phone’s storage memory. Turn off your phone and enter recovery mode on your Android device by long pressing Volume Down + Power key Simultaneously. Use recovery menu and select “wipe data factory reset”, after that choose “wipe cache partition”. Next, choose “advanced” and pick “wipe dalvik cache”. Return to TWRP Recocery menu and from main menu of recovery now select “install zip from SD card” and “choose zip from SD card”. Select the Downloaded ParanoidAndroid.zip package and Swipe right confirm flash the ROM on your Android device. Flashing of the ROM begins and after few minutes, a message ‘Successful’ appears on the screen, thus completing installation. Return to TWRP Recovery settings and tap ‘Install’ this time Select Downloaded GApps.Zip file and Swipe right to confirm . That’s it! Your Smart phone should now have Official Paranoid Android ROM installed ! Go to Settings > About phone to verify.